I am always in awe of the power of volunteerism. It is a power that defies the laws of mathematics. I have learned that the sum of the efforts of one volunteer plus one volunteer is greater than two. And the larger the number of volunteers, the sum of their accomplishments increases exponentially. Not being born with an aptitude for math, it is perhaps the only mathematical concept that I have ever fully appreciated. We are blessed at the Believe In Tomorrow Children’s Foundation to have many wonderful volunteers who fulfill our mission to serve ill children each and every day. 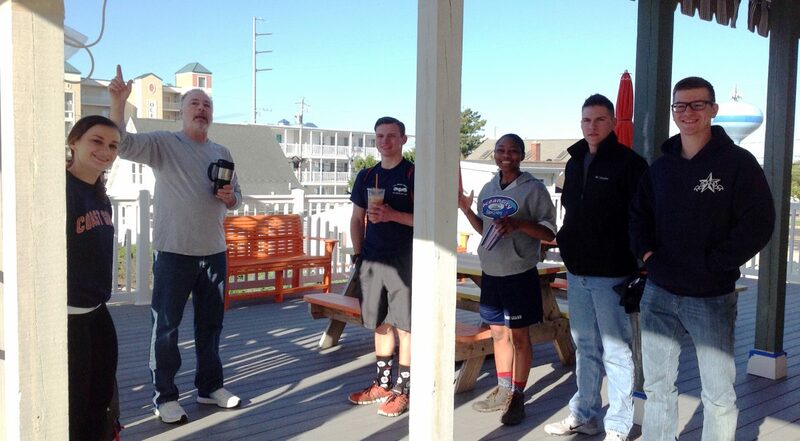 Today I would like to recognize the efforts of the volunteers from the Sherwin-Williams Paint Company and the United States Coast Guard who came together this week to paint the Believe In Tomorrow Children’s House By The Sea. 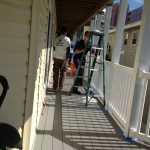 It was amazing to see the results of 24 organized and motivated people wielding paint brushes and buckets of paint. Their work brightened the building and will undoubtedly help to brighten the lives of all the children and families that will come to visit this year and for many years to come. 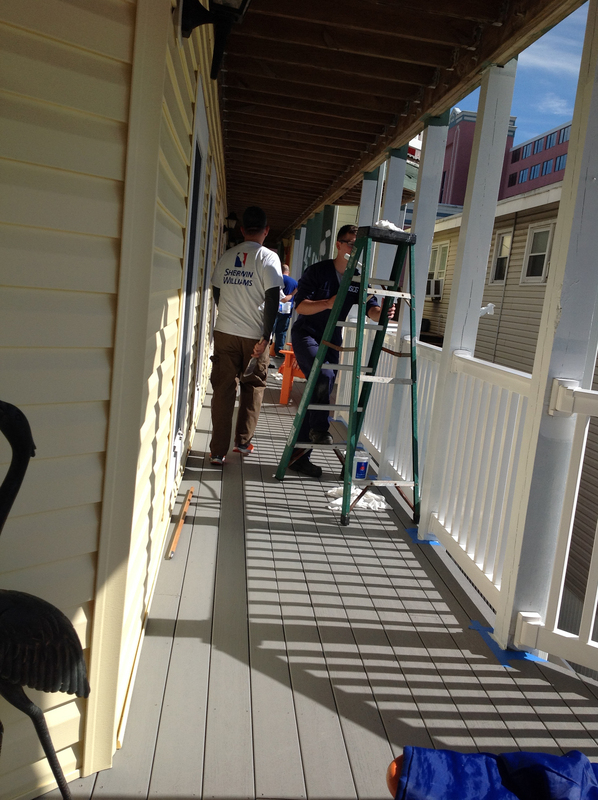 Their enthusiasm to make a positive difference is a tribute to both the Sherwin Williams Company and the U.S. Coast Guard. 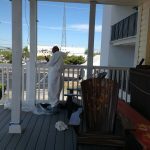 If you were to have a high-altitude glimpse of other Believe In Tomorrow volunteer activities on that very same day, you would have seen an amazing volunteer painting the Believe In Tomorrow House On The Bay. Carl Dakes, who owns The Dakes Painting Company in Arnold, Maryland, has volunteered his incredible painting skills in each of our eight hospital and respite facilities. 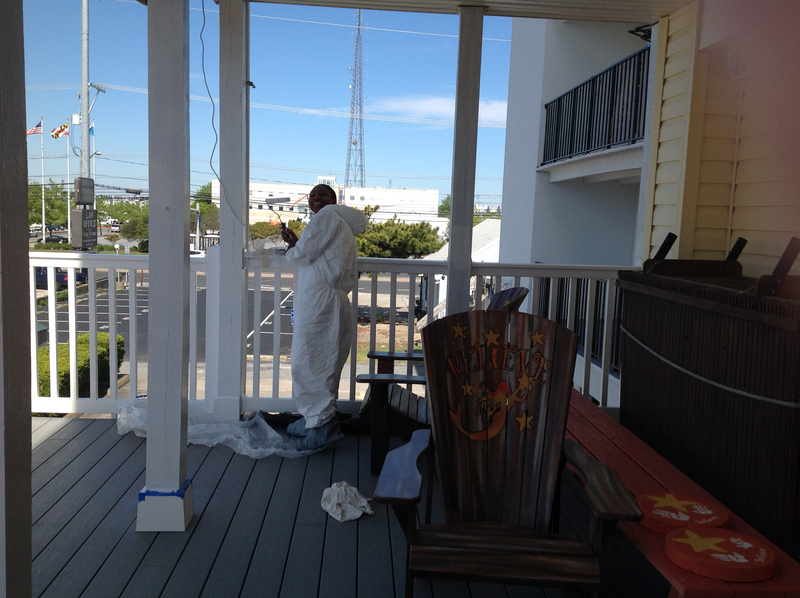 Carl’s friend Roy, a carpenter by trade, had travelled from South Carolina to contribute his carpentry skills while Carl painted. We will talk more about Carl and Roy in a future post. Employees from United Health Care were preparing and serving dinner that day for our families at the Believe In Tomorrow House at Johns Hopkins. These are just a few of the many volunteers who gave of their time and skills that day. The sum of all these efforts is a powerful force that improves the lives of the children and families we serve and makes the world we live in a better place. This was one beautiful day in the life of Believe In Tomorrow. I hope you are excited about the days ahead and the great difference we can make in the lives of those in need. 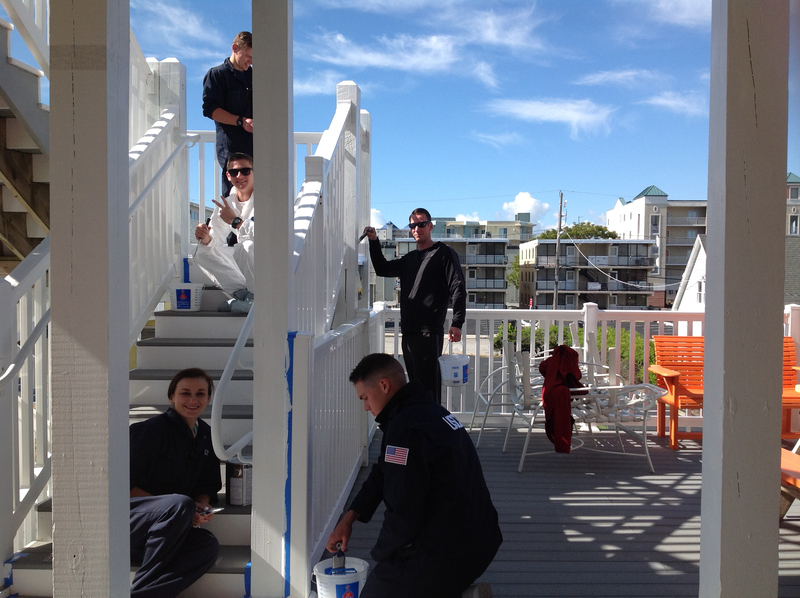 To learn more about the Sherwin Williams, U.S. Coast Guard volunteer efforts you might enjoy this video.